Before the Internet was a fingertip away, my book group read Mikhail Bulgakov’s The Master and Margarita. We found the novel complex and captivating, with dark undercurrents and roiling cultural references, including a thread involving Hector Berlioz’s music. But reading it left us longing for more information, some context that we were unable to access at the time. Today, at a minimum, we would have spent time on Wikipedia, and likely taken a much deeper dive to research the origins of Bulgakov’s masterpiece. Now comes Julie Lekstrom Himes, a Boston-based physician and writer, whose debut novel, Mikhail & Margarita, has been shortlisted for the Center for Fiction’s First Novel Prize. Creating an aura and tone that immerses the reader in Soviet Russia, Himes interrogates the impossible choices forced on artists who wished to stay true to themselves and to their craft. I was fortunate to interview Julie Lekstrom Himes about why and how she came to explore this subject. Martha Anne Toll: For readers who haven’t yet had the pleasure of reading Bulgakov’s great work, would you talk about how his book influenced you and how you used it in your story? Julie Lekstrom Himes: I was introduced to Bulgakov’s The Master and Margarita by my father-in-law who, as a physicist at the Nuclear Regulatory Commission, advised the Soviet Union on nuclear plant safety. He fell in love with the Russian and Ukrainian culture and returned from one of his trips with the book in hand. “They call him the Russian García Márquez,” he told me. I read and loved the novel, and like most readers, I wanted to know more about its author. I was beginning to take myself seriously as a writer and I was stunned. Nearly everything he wrote was censored by the Soviet machine. Yet, despite the personal and political risks, despite the frustrations and difficulties, he continued to work. I wanted to know, who was this person? Particularly, who was this person who was capable of writing that novel? Why is writing, the act of creation so important? Why is it worth these kinds of risks? These were the questions he explored in The Master and Margarita. I began to read his other works. It was the Country Doctor’s Notebook, however, that became a touch point for me. It’s a collection of short stories, written by Bulgakov in the first person, that relay his experiences as a young doctor on rural Russia. In these stories, he describes the emotional and thematic concerns of all young doctors—the worry over bad decisions, the frustrations with patients, with disease, the fear of not knowing what to do. And in his prose I could hear his voice, speaking as one doctor to another, sharing these same doubts and fears early in medical training. MAT: Mikhail Bulgakov, Anton Chekhov, William Carlos Williams, Ethan Canin, Chris Adrian, Abraham Verghese, among many others are physicians who write/wrote fiction. How do you feel part of this tradition? JLH: Physicians have the privilege and obligation of participating in some of the most personal moments in their patients’ lives. Perhaps it is these difficult and sometimes brutal experiences that send them to the page, in some way to make sense of the suffering, to find pattern in the chaos. To find respite for their role in all of this. MAT: Bloom is particularly interested in writers who publish their debut novels when they are forty or older. In your case, this is especially interesting because you are also a physician. Please tell us something about your journey. JLH: I’ve been writing since I was quite young and had always envisioned myself as a writer. But it wasn’t until I turned forty that I decided to take myself seriously in this endeavor. Which means I took classes, I found teachers who could teach me, and I wrote every day. I didn’t have the time to pursue an MFA so I looked for other avenues. MAT: How did you do your writing “apprenticeship?” and can you tell us something about your reading life? JLH: I love that you use the word “apprenticeship.” I do think of the process as an apprenticeship. To become good at anything, in my opinion, one has to invest approximately seven years—working every day, and ideally with a master—before one should hope or expect to be paid for their efforts. I expected to put in my time, but I suspect like a lot of writers, I wasn’t certain how to proceed. My father-in-law collected Scientific American magazines and during a holiday visit, I discovered an article that described the making of chess masters. I’d always assumed that one had to possess an intrinsic talent in order to become a chess master—as it turns out, chess masters can be trained, if provided a strong mentor. If mastery of chess could be achieved, I decided, so could writing. I felt empowered by this. MAT: It seems your novel required a lot of research. Can you talk about how you did your research, and how you learned how to do that kind of research? JLH: The research for this work was an interesting journey. I started out, somewhat naively, believing I could read about the Stalinist period and be able to write this book. What I found was that the majority of people who lived at that time believed in their regime. Perhaps not the intellectuals, not the writers, but many loved their leader; in order to understand these viewpoints I had to understand what they were like before the Revolution. Quickly I came to the conclusion that I had to go back to the beginning of history in Russia—which began around 800 AD—and read forward. This was the only way I could try to understand their culture, their mind set. One particularly useful aspect was a series of interviews, conducted in the early 1950’s, of Soviet ex-patriots who’d lived then fled the country in the 1930s and 40s. These interviews, collected and available through Harvard’s online library, made it possible to hear the stories of people from all walks of life in their own words, and get a sense of their concerns and their voices. It was hugely valuable. All told, my research took nine months, full-time, before I started to write. MAT: How do you balance your writing with your work? JLH: My day job is designing and conducting clinical studies in order to establish the safety and efficacy of new drugs for rare diseases. It’s hugely rewarding and at times all-consuming. That said, I do attempt to write everyday—to spend time in the ‘room’ that is my story, even if it’s just for a few minutes. Also, I find that some of my better ideas (I hope) happen when I’m away from the page. But like anything, an ongoing commitment is needed. MAT: How did you come to work with Europa Editions? JLH: I met my agent Adam Schear at a writers’ conference. Over the next few years, I sent him sections of the book. I was always impressed by his feedback and eventually he offered to represent me. Of course, the process of submission is incredibly nerve wracking. I’m grateful to Adam for being so insightful and keeping me apprised while he was shopping the book, while managing the feedback I received. Ultimately, Mikhail and Margarita went to auction between Europa Editions and another house. 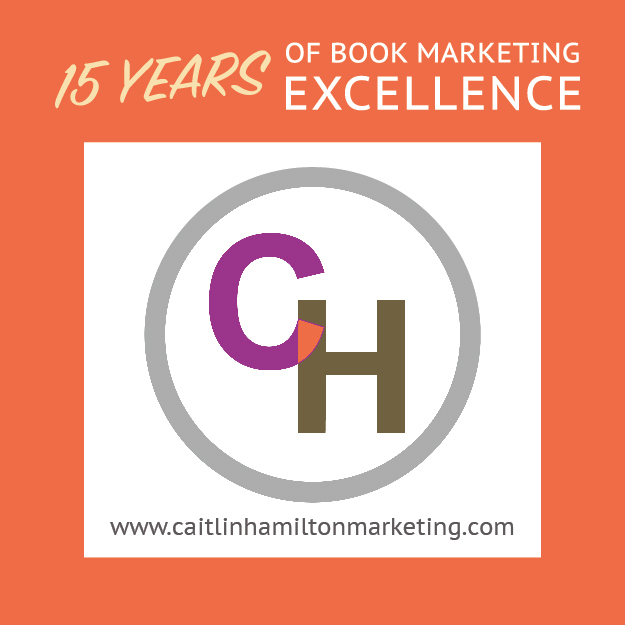 My decision to go with Europa came down to what I perceived was their faith in the book; their marketing strategy was aggressive and I was impressed and encouraged by that. I also looked carefully at their list. I’ve been hugely lucky to work with Michael Reynolds and his team. Having gotten to know them, I’m completely grateful and amazed that my book landed in their care. They’ve been fantastic. They took me to Winter Institute (ABA conference) and following the launch, arranged for various interviews and festivals and venues for readings. It’s been a terrific experience. Also my connections with other writers and other writers’ groups have made possible additional opportunities. I think it’s important to remember that we all rise together. MAT: It’s no surprise that publishers were vying for a chance to publish Mikhail and Margarita. The atmospherics in your book, for example, are remarkable. The reader feels inside Stalinist Russia, with the attendant lack of trust, fear, and hopelessness. How did you go about creating this feeling? JLH: I believe it was in these interviews—story after story of arrest and interrogations, friends who turned into informers, friends who disappeared. Listening through walls and doors to neighbors and friends who were taken in the middle of the night. Adults, recalling as children, the night their parents were roused from sleep and ordered by the police to pack. Then stories of those who returned from the labor camps, the irrevocable changes. I think, ultimately though, it’s remembering that, as horrific as such events were, these people still had to deal with the everyday triumphs and annoyances of modern life. It’s in the details that we are often very similar. At the intersection of these polar extremes, I think it’s possible if not necessary, to empathize. MAT: Would you talk about the romantic sensibilities in your book? There is much to say about the emotional heart of your story—do you see it as a love story, and if so, did you start out with that in mind? Or maybe the characters surprised you along the way? JLH: My first vision of this story was skeletal: I knew there would be Bulgakov, Margarita, and Ilya, an agent of the police who would make trouble for the lovers. I knew what Bulgakov wanted—and I had a pretty good idea of what Ilya desired. But it was Margarita who drove this story. In the complexities and turns of her relationships with these and other characters, and in the decisions she made, the story came to life in ways that I did not predict. MAT: What went into your decision to make Stalin a real character in the book? MAT: Why did you pick this particular time in history, and these particular characters for your novel? JLH: Part of what drew me to this particular time and place in history was the intense duress under which the average person was forced to live. These were people we might know; people we might imagine to be. And because of these terrific forces, the implications of their decisions and actions are thrown into sharp light. There was also the heartlessness of the silence: so many we will never hear about; suffering and repression and loss that has disappeared into the mists. Reading the words of real people who talk about these kinds of losses—family members left behind, the ones no one will ever hear about—made the need to write this story and to give it the sharper edge of realism, incredibly important to me. MAT: A major theme in this book is writing itself. What does your book say about the vocation of the writer? JLH: Bulgakov was very concerned about the artist and their art—the writer and their work. He asked: What is the role of art? Of the artist? Fundamentally, why do we strive—a Faustian question—when striving does not lead to happiness? Second, Bulgakov was interested in trying to understand a world where the government has convinced its people that there is no God; when there is a loss of equipoise between good and bad, light and darkness. What happens when the devil is allowed to run amuck in Moscow? There are the tensions, between love and sacrifice—what are we willing to forfeit in order to attain our goals—and what are we not willing to give up? Every person deals with these questions—they drive our most critical decisions. Like the characters in my book, it is the consequences of these decisions with which one must live. I, too, wanted to bring my thematic concerns to the farthest extreme, to place them under the highest level of pressure possible, to ask: What is the purpose of art and what role the artist? Why is it so important that one’s voice be heard? The best way to ask such a question is during a time and place where no one’s voice can be heard, where to create art is to risk one’s life and the lives of those we love. It is only at such extremes that we can truly see the way our convictions unravel; when we can we truly understand what we are about. I felt this had to be the time—Russia had to be the place—and Bulgakov had to act out this story. MAT: What’s next for you? JLH: I’m working on a novel of historical fiction set in the South during the 20th century. I recognize that such a description covers a bit of history, but I think I understand why writers are reluctant to discuss what we are working on. It’s not an attempt to be coy. I believe there is the concern that in talking about it, we’ll lose some sense of the urgency to write it—that the story and the need for it will escape us somehow. And we need that urgency to sit in front of the blank page everyday—at least I do. Martha Anne Toll’s nonfiction has appeared in The Millions, NPR, Heck, [PANK], The Nervous Breakdown, Tin House blog, Bloom, Narrative, and Washington Independent Review of Books; her fiction in Vol.1 Brooklyn, Yale’s Letters Journal, Slush Pile Magazine, Poetica E Magazine, Referential Magazine, Inkapture Magazine, and Wild. Her novel in process, represented by the Einstein Literary Agency, was short listed for the 2016 Mary Rinehart Roberts fiction prize. She directs a social justice foundation focused on preventing and ending homelessness and abolishing the death penalty. Please visit her at marthaannetoll.com; and tweet to her @marthaannetoll. Tags: Country Doctor's Notebook, Europa Editions, Julie Lekstrom Himes, Martha Anne Toll, Mikhail and Margarita, Mikhail Bulgakov, The Master and Margarita. Bookmark the permalink. What a fabulous and much deserved tribute to the Russian masterpiece. The Master and Margarita is my all time favourite book. Bulgakov got a handle on magic realism decades before Garcia Marques. Congrats to Dr. Lekstrom Hines for taking the fable to a new level. And with Stalin as a fictional character! I look forward to reading Mikhail & Margarita.